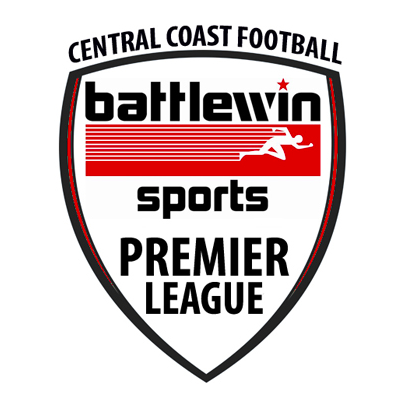 Round 3 of the 2018 Battlewin Premier League (BPL) took place on April 7 to 8, with mixed results for northern teams. “There were goals galore (29 in total) in a hot and humid Round 3,” said BPL’s Mr Alistair Kennedy. “A big Saturday night win sees Killarney District remain two points clear of the only other unbeaten team, Avoca, with a logjam of four clubs sitting a point back. In the opening game of the round, Toukley was toppled by Killarney Vale. “With its semi amphitheatre layout and excellent lighting, the EDSACC North field is proving to be a popular venue for Saturday night BPL matches, and around 400 spectators were there. “Unlike the corresponding encounter last season, which saw two players from each side sent off after an ugly melee, this time around, the game was fast-paced and played in the true spirit of the game. “After a scoreless first 20 minutes, the match burst into life, with six goals coming in the next 18 minutes. “Andy Klijn and Tim Knight, were on target in the 19th and 23rd minutes respectively, to give Killarney the lead, before a defensive lapse saw Toukley pull a goal back through the speedy, Jai Kelly,” Mr Kennedy said. “Two headed goals in five minutes by, Daniel Rodger, extended the Terriers’ lead, but once again, just a minute later, Kelly again broke from halfway to score and keep the match alive. “Despite trailing 4-2 at the break, Toukley stayed in touch, until goals by, Blake Silvers, in the 77th minute and a second to Knight four minutes later, wrapped up a comfortable win for the competition favourites. Berkeley Vale fared better than Toukley in their bout, taking down Umina. “After a disrupted start to the season, caused by injuries and unavailability, Berkeley Vale have struck form with two outstanding performances in five days, scoring 10 unanswered goals in the process. “In what was one of the club’s best results in years, they thrashed NPL 3 club, the Bathurst based Western Mariners, 6-0 at Mingara on Wednesday night, before a dominant 4-0 win over Umina at the same venue. “The game was affected by a combination of the heavy Mingara field and high temperatures, but despite their workload, the Wombats were in control for most of the match. “Back from suspension, Alex Burrell, gave his team the lead in the 23rd minute, with what was the only goal in the first half. “Michael Tawyer’s first ever BPL goal doubled the lead in the 65th minutes, with, Paul McGinley, effectively settling the result five minutes later. “Burrell then finished the scoring with a second goal, seven minutes from full-time. “Berkeley Vale take on the struggling The Entrance team next time at Pat Morley Oval, while Umina’s task doesn’t get any easier, at home against Killarney District,” Mr Kennedy continued. Kanwal faced off against Gosford City in their Round 3 match. “Back-to-back wins over two of last season’s finalists have given Kanwal a great platform on which to build their first season back in the top division since 2013. The Bulls struck early, with skipper, Ryan Walker, slotting home a cross from right winger Jason Cozens, in the 14th minute. “The same player then found, Brad McLean, in the crucial last minutes of the first half, to give the visitors a 2-0 lead at the break. “A second goal to Walker, 15 minutes into the second half, this one from a cross by left fullback, Paul Holz, effectively sealed the win, although Gosford hit back twice through second-half substitute, Jeff Hall, although a third goal to Walker between them ensured that the result was never in real doubt. The Entrance continue to struggle through the 2018 season, going down to East Gosford 4-1 “Another frustrating loss for The Entrance as they try to re-group after their numerous offseason player losses. “They couldn’t capitalise on a number of first half scoring opportunities before going behind through an own goal just before the break. “The Rams then took control in the second period, with two set-piece goals within 10 minutes midway through the half, both from the ever-reliable, Rob Walton, the first a free kick, the second a penalty. “Stephen Harper added a fourth 10 minutes before full-time, with the Reddies grabbing a late consolation goal. “Both teams are at home next Sunday, with East Gosford playing Kanwal at Hylton Moore Park, and The Entrance up against one of their traditional derby opponents, Berkeley Vale, at Pat Morley Oval,” Mr Kennedy concluded.